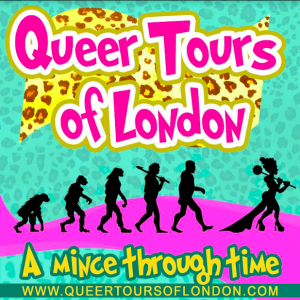 From Gay socialists breaking the ice and forming legendary community spaces, to mincing down the same streets as Bloomsbury group queers, author Virginia Woolf and economist John Maynard Keynes, Queer tours of London will be strutting through the streets of Bloomsbury, shining a light on the flung open closets of this notorious neighbourhood’s queer and theatrical history. Add a dash of Polari, a little Ivor Novello and lots of Lesbian and Gays supporting the Miners, we will be uncovering our queer past and examining what can be learnt for our queer cultural futures. Nell James Grace is a Trade Union organiser, community campaigner and facilitator. Part-time performer, Director and Vintage Enthusiast, full-time Queer Poirot fanatic. When she’s not obsessing about Hercules, she’s the chair for OUT THERE Hackney LGBTQ+ network, disabled activist and GMB ability committee member and can be found campaigning about neurodiversity and divergence to anyone who will listen. Dan Glass is an activist, performer and writer who was named as one of Attitude Magazine’s LGBTQI campaigning role models + a Guardian ‘UK youth climate leader’. His recent programmes involve MC’ing ‘Shafted? !’ a speakeasy by people with HIV and the ‘Never Again Ever! Beyond UKIP Cabaret in Nigel Farage‘s boozer. Polari, the gay slang which faded away with the decriminalisation of male homosexuality and the advent of gay liberation, is making a comeback. Polari flourished in the difficult years between the trial of Oscar Wilde and the 1967 Sexual Offences Act. Today as our community continues to evolve – in the cabaret bars, on stage, in bedrooms and in the streets Polari exists to protect ourselves against rising LGBT homophobia, as a vocabulary for talking about our sexuality, communicate on our own terms and as a way of asserting our identity. Have you ever wanted to have the time to share your queer story, inspirations, desires, vulnerabilities, hopes and dreams? Have you been inspired by queer literary writers and maybe one day inspire others? Have you ever wanted to explore what it means to queer up culture, literature and storytelling? Do you want to create a queer community that can support you in your journey as a queer writer? Well then – look no further. In this interactive workshop, we will explore the legacy of London’s queer writers, develop our own stories and share them amongst the group. This workshop is open to anyone who want to not only develop their craft but also learn how to perform in front of an audience. 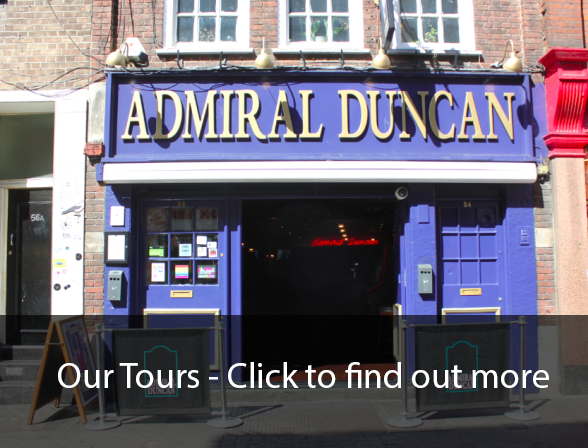 If you would like to find more about Queer Tours of London visit their Facebook page which is buzzing with activity. This events are free, we just ask that you register your attendance with the booking button above.